Zurich, London, 17 April 2018 – The use of artificial intelligence (AI) and machine learning (ML) in financial services (FS) is on the rise, with 83% of banks having evaluated AI & ML solutions, and 67% having actively deployed them, according to a new study out today. The research with 200 global tier one and tier two banks was conducted by capital market research firm TABB Group on behalf of augmented intelligence solutions provider Squirro, and revealed that AI is the most important ‘disrupter’ for banks today. The study – ‘Enhanced Bankers – The Impact of AI’ – also highlighted a lack of understanding around AI & ML as specifically applied to improving business processes, with 83% of respondents still unaware of how to apply the technology to solve business problems. Using AI and machine learning to source new leads and opportunities is key to bankers, with 87% of respondents saying that it would be highly impactful if an AI engine could spot relevant events that led to engaging with a client and closing a deal. Bankers recognize that AI driven insights will have a tremendous impact when it comes to anticipate market events to stay ahead of the competition. 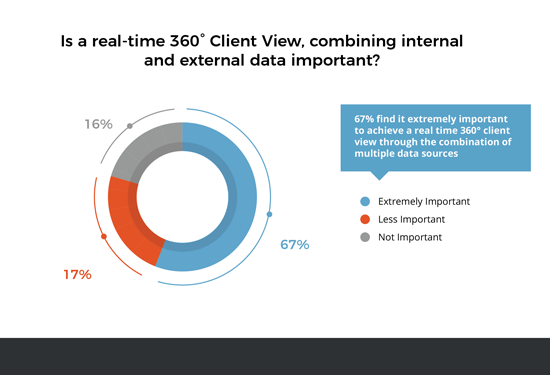 84% of respondents said that a real-time 360° Client View, combining internal and external data was either important (17%) or very important (67%), to obtain insights. 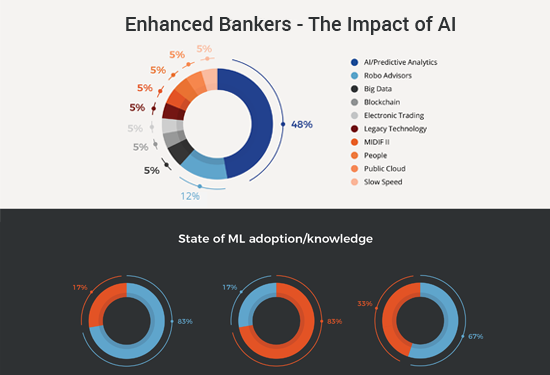 The research also revealed a large majority of bankers wanted AI insights delivered to them using existing methods, making AI as integrated into current workflows as possible. 100% of respondents said they would want AI-driven recommendations via email, while 83% wanted them within their CRM system. Just 17% of respondents wanted AI-driven recommendations via mobile, highlighting how much of corporate FS remains a desk-based industry. The full report, Enhanced Bankers – The Impact of AI, is available to download here.